If there’s a takeaway sentence from the latest Iowa Court of Appeals decision to analyze a breach of warranty claim, it is this: The doctrine of unconscionability…does not rescue people from bad bargains. In other words, be careful what you sign, it could come back to bite you. In this case, the plaintiff was a sodding and turf business operated by an owner with more than four decades of experience. He purchased an irrigation system from a dealer, which , in turn, obtained the system from a manufacturer. The purchase agreement was between the plaintiff and the dealer, but the warranty was provided exclusively by the manufacturer. The purchase agreement included a copy of the manufacturer’s limited warranty and a certificate of warranty, a statement signed by the plaintiff acknowledging that the dealer explained the warranty to him. 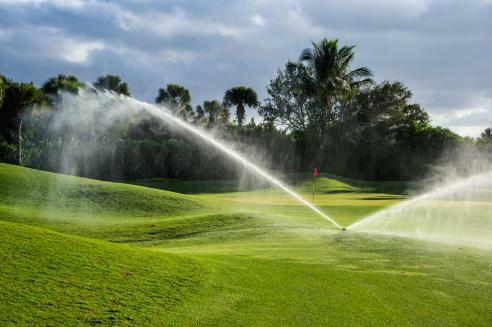 The “limited warranty,” as the warranty was entitled, specifically stated in bold type that the irrigation system was SOLD SUBJECT TO THE MANUFACTURER’S WARRANTY ONLY. The written warranty, also in bold type, specifically EXCLUDED any implied warranties, including the WARRANTIES OF MERCHANTABILITY OR FITNESS FOR A PARTICULAR PURPOSE. The warranty went on to limit the purchaser’s remedies, in the event of a defect, to repair and replacement. The warranty specifically excluded many forms of potential damages, including loss of use, loss of profits, and crop damage. The irrigation system was installed on October 21, 2011, and the plaintiff alleged that the system “never suitably performed.” He alleged numerous problems, including leaks, automatic shutdown, improper pressure, uneven watering resulting in crop loss, excessive rutting, the failure to start, and uncontrolled automatic spraying. The plaintiff’s expert testified that the system was “defective” and “inappropriately designed” for the plaintiff’s sod farm. Between October 22, 2011, and September 9, 2013, the dealer responded to an unprecedented 55 service calls, phone calls, or parts requests related to the system. Still dissatisfied, the plaintiff filed suit against the dealer and the manufacturer. Between the initial petition and an amended petition, the plaintiff sought damages for breach of contract, breach of express warranty, and breach of implied warranties of merchantability and fitness for a particular purpose. The district court granted summary judgment to the defendants on all of plaintiff's claims, except for the express warranty claim against the manufacturer. The plaintiff then voluntarily dismissed the express warranty claim so he could seek appellate review of the remaining judgment. The court also rejected the plaintiff’s argument that the disclaimer was unconscionable. The court reviewed the Iowa standard for an unconscionable disclaimer of an implied warranty: “No person in their right senses would make it on the one hand, and no honest and fair person would accept it on the other hand.” The court went on to state, “The doctrine of unconscionability…does not rescue people from bad bargains.” Here the plaintiff was a sophisticated, experienced businessman. The court found no evidence of inequality of bargaining power. The disclaimers, the court found, did not supply harsh, oppressive, or one-sided terms. They were conspicuously written in bold capital letters, and the plaintiff acknowledged reading the terms before signing the purchase agreement. Under such facts, the court ruled that the disclaimers were not substantially or procedurally unconscionable. The plaintiff is not left without remedy. He likely may refile his breach of express warranty claim against the manufacturer. The court did suggest that the plaintiff’s remedy under such a claim could include more than the “repair and replace” only remedy provided by the limited warranty. The court stated that “where circumstances cause an exclusive or limited remedy to fail of its essential purpose, remedy may be had as provided in [Iowa Code chapter 554]." This would include monetary damages. Specifically, “where repair or replacement can give the buyer what is bargained for, a limitation of remedies does not fail of its essential purpose.” Here’s however, if the plaintiff can prove that the manufacturer has been given a reasonable chance to correct defects in the irrigation system and that limited remedy has failed, he may be entitled to look outside of the written warranty for his remedy. In other words, he may be able to collect monetary damages against the manufacturer. Nonetheless, this case should remind us that we can’t take anything for granted when signing a contract. Read the disclaimers carefully. If they are conspicuous, they will be enforced. A court will not rescue us from “bad bargains.” Read the BOLD PRINT. The case is R.J. Meyers Co. v. Reinke Manufacturing Co., No. 15-0311 (Iowa Ct. App. Apr. 6, 2016).